Women working in the U.S. Forest Service are coming forward to talk about sexual harassment they’ve experienced while battling forest fires in remote locations and the pervasive culture of misogyny that their workplace permits. 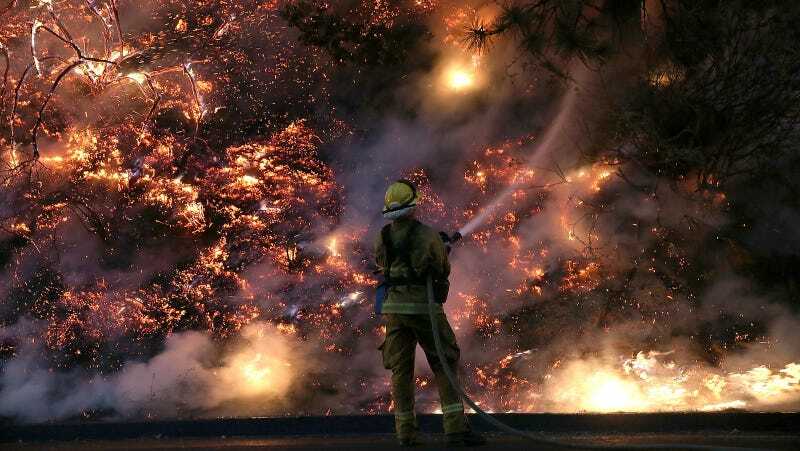 The Guardian interviewed a number of women working in the National Park Service and US Forest Service’s wildfire operations, among them many woman who are participating in a class action lawsuit filed in California against the fire service on behalf of female firefighters. Their stories are disturbing in themselves, but the response from supervisors show how a lack of accountability increased the danger for women employees. The congressional committee that heard Rice’s story vocalized outrage—but that very year, her alleged harasser was invited to give a motivational speech to other firefighters and, as Rice would eventually discover, was allowed to retire with full benefits. Meanwhile, Rice says she is still experiencing backlash at work for speaking out. One day as the crew dug trenches, the assistant captain—annoyed that she was ignoring her comments—grabbed her by the pack, threw her to the ground and stepped on her. She and a fellow colleague reported the incident, but despite assurances from her superiors, it took a full year and a half for the man to leave the fire service.